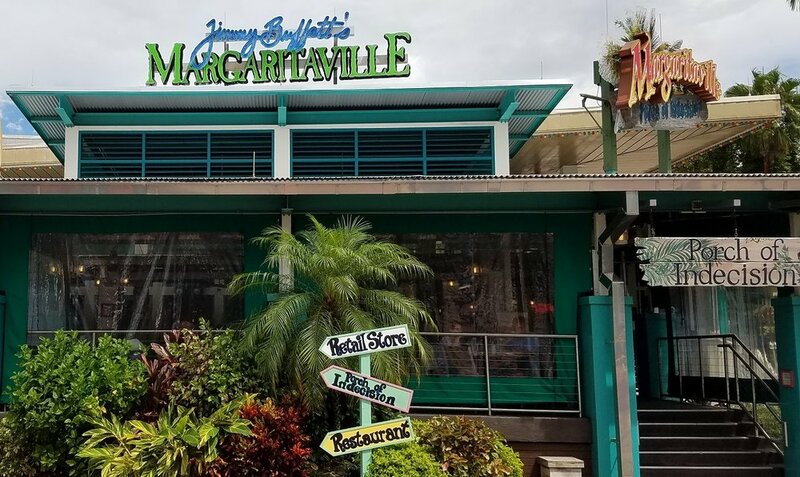 The Lone Palm Airport is located on the water across from Jimmy Buffett's Margaritaville in Universal CityWalk Orlando. What Is the Lone Palm Airport? 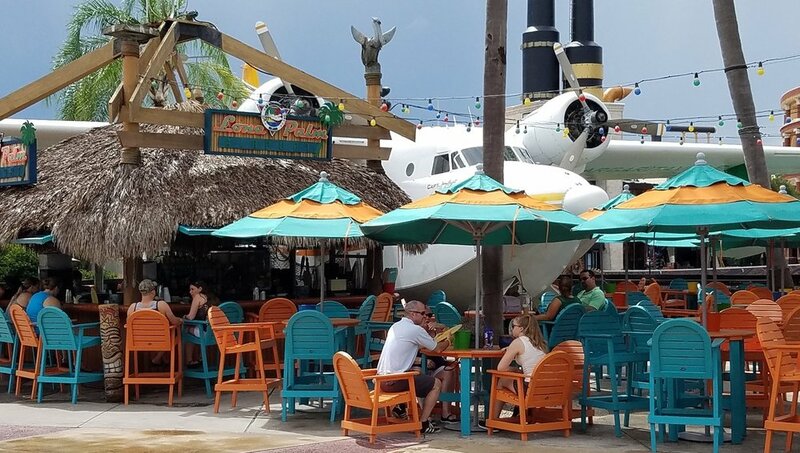 The Lone Palm Airport is an outdoor tiki bar situated around the Hemisphere Dancer, Jimmy Buffett's personal seaplane. The plane is considered one of the signature attractions of the Orlando location of Jimmy Buffett's Margaritaville restaurant. You can find seats at the bar. There are also a handful of umbrella-covered tables nearby. The Lone Palm Airport serves a few different food items, including chicken bites, wings, shrimp, quesadillas, and pretzel sticks. Not surprisingly, the Lone Palm Airport is better known for its drinks than its food. There are more than a dozen different margaritas to choose from. You can also get shots, Barefoot wines, beer, and boat drinks (like premium fruit daiquiris and the Chocolate Banana Colada). If you're looking for non-alcoholic drinks, you can choose from water, sodas, teas, house-made lemonade, and virgin daiquiris. The Hemisphere Dancer weighs roughly 20,000 pounds. It is 60 feet long, about 25 feet tall, and has a wingspan of 80 feet. Jimmy Buffett and his crew used to fly in the plane before it was permanently beached in CityWalk. During one of their more exciting outings, the plane took a few bullets when it was shot at by Jamaican police who mistook Jimmy and his buddies for "doped up cowboys." Read more Hemisphere Dancer facts. Lone Palm Airport is located across from Jimmy Buffett's Margaritaville. Most margaritas cost $10 - $13. Most boat drinks cost $10 - $12. Most frozen boat drinks cost $10 - $11. Most draft beers cost $7 - $9. Most American bottled beers cost about $7. Most craft and imported bottled beers cost about $8. Lone Palm Airport is a nice spot to take a break as you're moving through CityWalk. The music that they play (expect a lot of Jimmy Buffett tunes) has a laid-back vibe and really makes you feel like you're on vacation. This impression is magnified when you're sipping on tiki drinks and watching the crowd walk by. Lone Palm Airport is really easy to find in CityWalk, making it a great place to meet up with friends if you are heading into the theme parks, particularly Islands of Adventure. 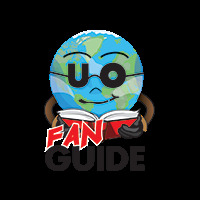 Lone Palm Airport is easy to spot on this Universal CityWalk map. It's shaped like a plane! You can also identify it by finding the number 30. Locate the number 30 to find the Lone Palm Airport on this map.